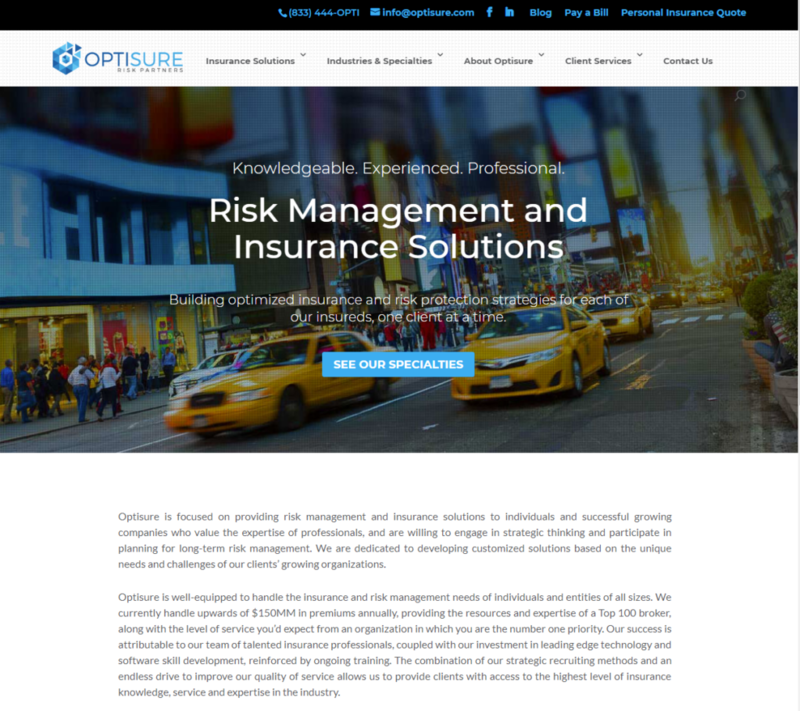 Optisure was founded to provide a platform for the creation of a new Top 100 Ranked US Insurance Brokers. We bring scale, flexibility and independence to our clients by strategically blending talent and insurance distribution acquisitions to build optimized insurance and risk protection mechanisms for our insureds, one client at a time. Our firms operate regionally but with global capabilities, addressing a broad spectrum of insurance needs. Our expertise in program underwriting and aggressive program structures enables our clients to enjoy some of the most competitive terms and premiums in the marketplace. We bring together our clients and capable insurance carriers. It is our belief that the service you expect from us goes beyond the placement of insurance. We are here to help you with experienced claims representation to advocate your position when a loss occurs. We are staffed by experienced professionals at every level. Each member of our staff has significant experience so you will be serviced locally by the best the industry has to offer. Our Managing Directors are a dynamic and experienced group of insurance principals with extensive insurance agency management experience as well as deep technical expertise. As a team, we work to support a stream of new incoming agency partners and to provide innovative methods which optimize risk and insurance solutions for our clients.